Shannon Maynard is director of Grameen Foundation’s Bankers without Borders initiative. In today’s dynamic world, the importance of volunteering – to both the recipient and the volunteer – cannot be exaggerated. Unfortunately, volunteering is often perceived as a form of charity or something that only the recipient benefits from. What is not emphasized enough is the fact that volunteers gain just as much from the experience. 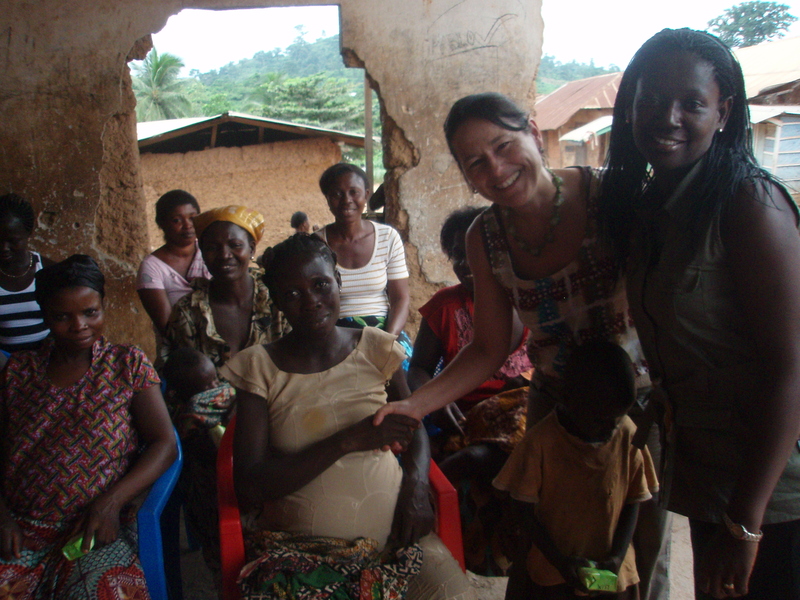 Lynda Barton took a sabbatical from her job with a pharmaceutical company in Switzerland to work with Grameen Foundation’s mobile health initiative in Ghana. Since Grameen Foundation’s Bankers without Borders® (BwB) initiative was launched in 2008, 800 volunteers have logged more than 65,000 hours of service – worth more than $5 million – helping poverty-focused organizations and their clients around the world. Listening to their stories and learning from the insights they have gained through those experiences has been invaluable. In this post for international-development portal Devex, Shannon Maynard, director of Bankers without Borders, discusses some of the ways in which volunteers benefit from donating their time and skills to social enterprises fighting poverty. She contends that experience and professional standing don’t really matter when it comes to “skillanthropy.” Whether they’re expanding networks or building cultural and professional skills, she says, everyone has a chance to leverage their volunteer experience to best fit their needs and rise within their respective organizations. >> Read the full post for all seven ways that volunteering services pro bono have helped advance our volunteers’ careers in development. 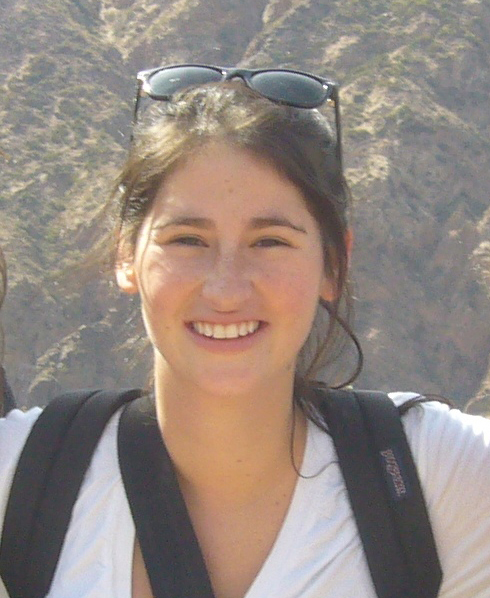 Emily Gordon is a graduate of Lehigh University, where she studied International Relations, Spanish, and Business. She spent a semester in Buenos Aires, Argentina studying foreign relations and working with a human rights organization. Emily has worked with a variety of international non-profits, including interning with Grameen Foundation’s Bankers without Borders® program in 2011. Emily Gordon’s experience as an intern with Grameen Foundation’s Bankers without Borders® volunteer initiative showed her that “Everyone can offer something when it comes to making the world a better place." After spending four years studying international relations and international development in college, I graduated bright-eyed and eager to go out into the world and start making a difference. I spent the summer researching different jobs and opportunities, looking for some way to get involved in the world of microfinance. When I was offered an internship working with Grameen Foundation on their Bankers without Borders (BwB) initiative, I immediately packed up, moved to Washington D.C., and never looked back. As a recent graduate, it can be hard to find a place where you feel you are truly able to contribute. It seems that most internships and entry-level jobs consist of filing, answering phones and taking notes. Volunteering at Grameen Foundation could not have been more different. From the moment I started, I was given interesting and exciting tasks. I helped critique and perfect the BwB’s “Blueprint Projects,” creating clear guides for volunteers working with microfinance institutions (MFIs) on risk management, financial projection modeling, human capital management and Progress out of Poverty Index™ (PPI™) certifications. I was also able to use social media to create awareness and help recruit volunteers for BwB. I interacted with staff members around the world and heard first-hand accounts from volunteers completing their projects. Working with Grameen Foundation was an invaluable experience. I met great people, learned a lot about microfinance, technology-for-development and social enterprise, and most importantly, felt that I was able to use my skills to help make a difference in the world. That feeling of accomplishment was one of the best parts of volunteering with BwB. Many students, business professionals and retirees hear about microfinance and are eager to learn more and get involved, but without direct microfinance experience, it can be difficult to find a place to volunteer or gain experience. BwB helps people use the skills they already have to make a substantial impact on organizations fighting poverty all over the world. You don’t need to be an expert on development to create positive change. Poverty-fighting organizations need experts in all different fields. During my time at Grameen Foundation I saw lawyers, marketing experts, graduate students, engineers, bankers and others help with different BwB projects. Everyone can offer something when it comes to making the world a better place. Working with Grameen Foundation helped me see how microfinance and technology can change the lives of the world’s poor. I plan on taking what I’ve learned and continuing to work in international development. Wherever my life takes me, I know I will continue to be a BwB volunteer – part of a smart, passionate and hardworking network. I encourage anyone who is interested in helping others to volunteer with Grameen Foundation. It will be an eye-opening, life-changing experience. For more information on volunteering with Grameen Foundation, please visit BankersWithoutBorders.com. Mobile phones can transform the way rural farmers in developing countries get information to better manage their crops and animals. Today, Grameen Foundation announced a new collaboration with MasterCard Worldwide that will develop new mobile applications for rural farmers in Colombia. With these solutions, a smallholder farmer will be able to know the specific prices for his crops and the best weather conditions for planting and harvesting, without even having to leave his land. The pilot will start in Urabá and Santa Marta, areas that were hard hit by Colombia’s internal conflicts. Over the next year, we will begin using research that was conducted earlier to test applications that will enable farmers to access information more easily and provide the organizations that serve them with tools to do so more effectively. In addition, we will be tapping volunteers from MasterCard to work on this project and other global initiatives through Bankers Without Borders®, Grameen Foundation’s volunteer program. Listen to Alberto Solano, Grameen Foundation’s regional CEO for Latin America and the Caribbean, discuss this initiative. Read more at the MasterCard Worldwide blog.